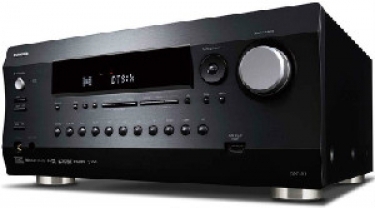 Integra is introducing to new products to its Reference Series line of products: the DRC-R1.1 11.2 channel network controller and DRX-R1.1 11.2-channel network AV receiver. These products support HDBaseT. Integra says that its new Reference Series components, the upcoming DRC-R1.1 11.2 channel network controller (pictured here) will carry a price of $2,500, and the DRX-R1.1 11.2-channel network receiver will cost $3,300 when the products are released in March 2018. Integra announces the latest product additions to its reference-grade Research series through the introduction of its DRC-R1.1 11.2-channel network A/V controller and DRX-R1.1 11.2-channel network A/V receiver. The popular custom-electronics manufacturer says that its latest products will be available in March 2018, and Integra states the products offer consumers the technologies they most desire to drive their home theater and media systems' performance. According to Integra, the DRC-R1.1 11.2-channel network A/V controller and DRX-R1.1 11.2-channel network A/V receiver are among the first products in their respective categories to include the 4K HDBaseT format. The inclusion of 4K HDBaseT support enables the controller and receiver to transmit 4K at 60Hz with HDR content, including Dolby Vision as far as 100 meters (328 feet) over Cat-5/6/7 cabling. Some of the performance options built into the new Research series products include Dolby Atmos and DTS:X object-based surround sound decoding with configurations such as 7.2.4, multizone processing, and wireless-based technologies such as Chromecast with built-in Google Assistant and DTS Play-Fi wireless whole-house audio. Both products also offer eight HDMI ports, including main out and sub/zone 2 with HDBaseT Support for HDCP 2.2, UltraHD 4K, HDR formats such as Dolby Vision, Hybrid Log Gamma (HLG), wide-color gamuts such as BT.2020 and Adobe RGB, and video pass-thru. THX Ultra certified, the DRC-R1.1 network AV controller employs modular circuitry blocks secured into place with copper screws, along with a double-skinned insulated frame and internal bracing to help ensure its anti-resonant characteristics. Internally the controller utilizes multiple 32-bit DSPs and DACs to support its performance and functionality. On the control side, the AV controller incorporates bi-directional IP and RS-232, multiple IR inputs and three programmable 12-volt triggers with adjustable delays. The flagship THX Certified Select receiver produces 140-watts per channel into 8 ohms two-channel driven. Integra also points out the DRX-R1.1 AV receiver employs a similar construction as the controller, including the same design concept with copper screws securing modular circuit blocks, along with the double-skin insulation and internal bracing. In addition, the DRX-R1.1 11.2-channel network A/V receiver also incorporates a custom-shielded power supply and a shielded amplification section to help isolate the receiver's circuit boards from any potential noise.